For RCC works estimates of steel is essentially required for the following purposes. 1. For acquirement of the materials. 2. To check or to submit the utilization of the material at site. 3. To prepare an accurate bill for payment. 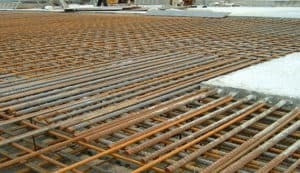 For point (1) and (2), the best method of calculating the amount of steel is using BBS or bar bending schedule that is commonly provided in the detailed drawings for reinforced concrete works. But, when bar bending schedule is not provided the amount of steel may be calculated by using a take-off sheet containing the following sections as given in the below table. Also Read – Approximate Or Preliminary Estimates For Building Construction. i like your notes, please email me every day. 10Q!